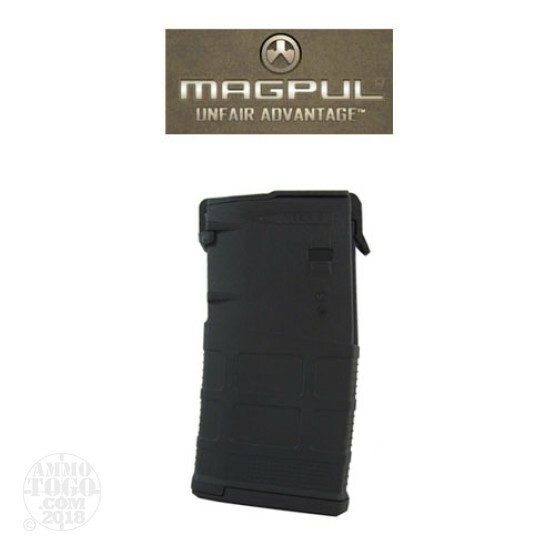 This is a Magpul PMAG P20 Gen M3 AR-10 Black 20rd. Magazine. The PMAG 20 LR/SR GEN M3 brings many of the M3 improvements to the 20-round 7.62 NATO/.308 Winchester SR-25 magazine form factor and replaces the previous generation MAG243 in Magpul's line. The 7.62x51 NATO (.308 Winchester) PMAG 20 LR/SR GEN M3 is a lightweight, cost effective, high reliability magazine for SR25/M110 pattern rifles featuring true 20-round capacity, constant-curve body, anti-tilt follower and snap on Impact/Dust Cover. Designed specifically for military-issue MK11/M110 rifles and mil-spec ammunition (including M118LR), the PMAG 20LR/SR is less than half the weight of standard issue steel magazines and maintains a service life round count approximately equal to the rifle barrel itself. Made in U.S.A.